Every day we are given 24 hours. Considering we sleep about 1/3 of that time, what do we do with the rest? 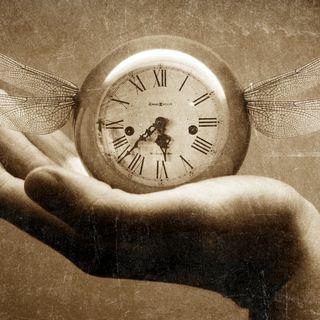 Time is a unique resource as once it is "spent," it is gone forever and can never be reclaimed. We can't go back in time, we can never live those moments again. On this weekend's program Bob reminds of how precious time is, and how we can lose so much if we don't make the best use of this precious gift. None of us really knows how many days, weeks, or years of time ... See More we truly have. An unforeseen circumstance can cut our time short. While we shouldn't just live in the moment, we should not take for granted the time we have. We can't change the past, but we can savor today for a better future.